We all know the awkward feeling when conversation is disrupted by a brief silence. During your next meeting, wait for a pause in conversation and try to measure how long it lasts. There’s a high probability, especially amongst English speakers, it will be one or two seconds max. In Western cultures, studies show that we’ll leave a fraction of a second between taking turns to talk. What might be seen as a universal pattern here in Australia, differs dramatically across cultures, which is particularly crucial if you’re doing business overseas. According to a 2011 Dutch study published in the Journal of Experimental Social Psychology, awkward silences are “particularly disturbing if they disrupt the conversational flow.”. Participants reported feeling “more anxious, rejected and less self-assured.”. 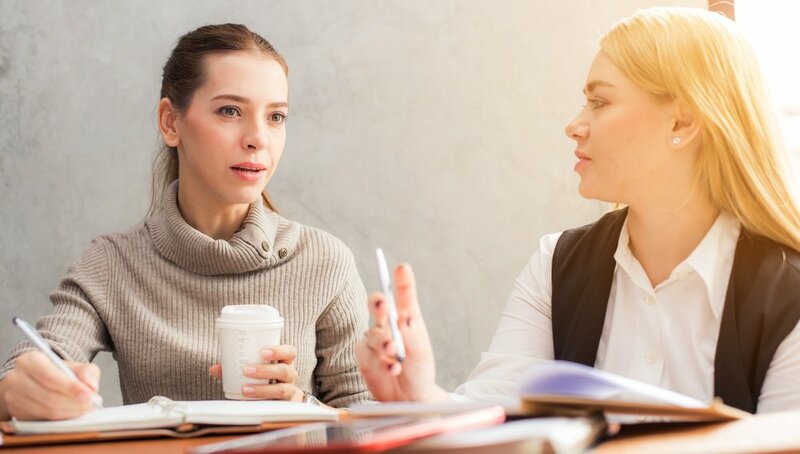 While long gaps in a discussion may make you feel uncomfortable, knowing when to ‘shut-it’ can give you the upper hand in everything from negotiations, sales deals to presentations and staff development. In an American study, participants subjected to an extended silence up to four seconds, started to feel unsettled. Whereas in Japan, a study of business meetings found silences up to 8.2 seconds were completely acceptable to participants – more than twice the length of the American study. What one culture finds to be an awkward pause, others see as a moment to reflect and a sign of respect for the last speaker. ‘Haragei’ in Japanese translates to “the art of the stomach”. While many Japanese people may not know this phrase, they are familiar with what it represents. It’s the art of understanding what someone means in conversation without necessarily having to say it aloud. Japanese society is homogeneous which makes Haragei possible. Having to speak means there is a communication breakdown, seen as brusque or even uneducated. The lack of homogeneity in colonial societies or societies with high multi-cultural populations may explain the lack of common understanding or awkwardness when faced with conversational silences. If you consider being around close friends or family, it’s often easier to sit in silence than it would be in most everyday situations including workplace interactions. Sales expert Gavin Presman consistently pauses after making a pitch, after reading that counsellors should wait five seconds after a patient finishes speaking. “In business, five seconds might be too long, so I leave three seconds and what happens is remarkable,” says Presman, director of UK-based training and development provider Inspire. Katie Donovan adheres to the adage, ‘He who speaks first, loses.’ Early in her career, the founder of US-based consultancy Equal Pay Negotiations interviewed for a job in sales and was offered it on the spot. When the interviewer named a salary, she said she’d get back to him next week and then sat quietly. He raised the offer. She repeated her tactic. Finally, he made a third offer of 20% more than the first. She accepted. In the workplace that can mean a manager announcing a decision and assuming that if staff are unhappy they will speak up, she explains. The employees, however, may see no point in saying anything because the boss has made up their mind. “That’s a very dangerous difference,” she says. Learning how to face silence is an important skill, says Matthew MacLachlan of UK-based Learnlight, a language and soft skills training provider, especially when working across cultures. “Chinese negotiators are very, very aware that Americans like to fill silences and they are trained to stay silent and impassive because that will make the Americans uncomfortable and possibly make concessions without the Chinese having to do anything,” he says. Equally, when giving feedback to staff or trainees, pauses count – especially if there are negatives. “If you keep talking you’re spoon feeding. Give people a moment of silence to get beyond the emotional response and to start thinking cognitively and processing,” says MacLachlan. "Silence can be an inward-focused thoughtful activity or an outward stillness where you give yourself the time to watch and think and listen to the world around you", says Donal Carbaugh, a professor of communication at the University of Massachusetts Amherst. Having observed the use of silence in Finland and also among the Blackfeet Nation, a North American Indian tribe in northern Montana in the US, he says he sees benefits far beyond wheeling and dealing. Pausing allows you to breathe. Providing the brain with oxygen helps clarity and alertness. Not only does it improve mental clarity, it helps calm nerves and improves voice projection. Silences are awkward. People generally don’t like silences, which can be particularly useful in a negotiation situation. The other party may unintentionally fill the gap with words or reveal more information than they had intended. Credibility. Pausing demonstrates you are thinking and will make you sound more articulate and in control. Practise active thinking or considered pausing. Keeping the other party engaged. Considered pauses allow the other party or audience to digest what is being said. Dialogue is only part of the message. Body language and tone of voice go a long way in conveying your message. According to Professor Albert Mehrabian, Professor Emeritus of Psychology, UCLA, the three elements of communication account for; 7% words, 38% tone of voice and 55% for body language.